Updated rankings for the week ending Sunday (with the prior week for comparison). 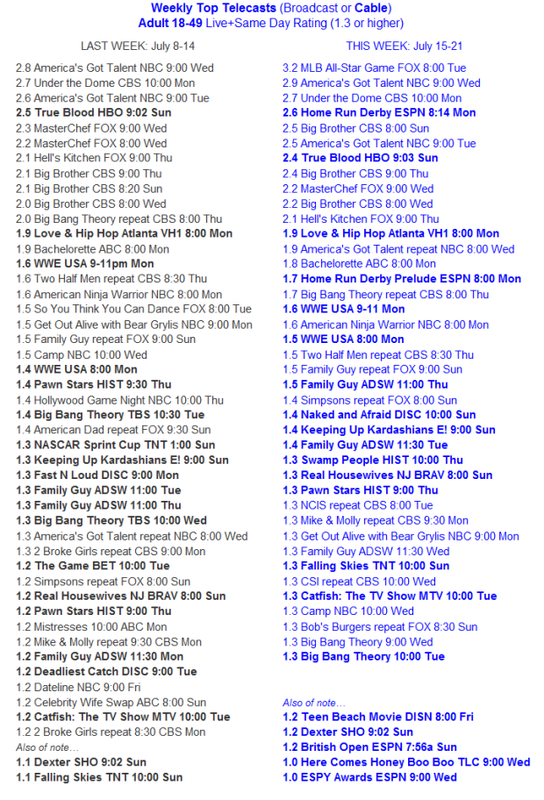 Updated broadcast and cable programs for the week ending Sunday (and the previous week for comparison). Updated telecast rankings for the week ending Sunday. Updated cable and broadcast rankings this week and last.